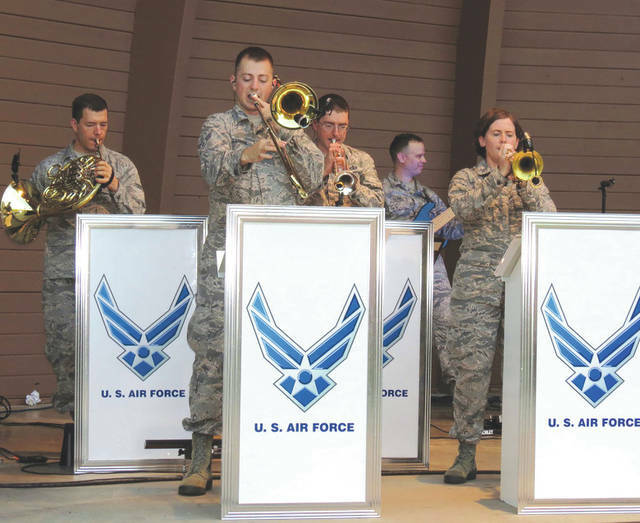 The United States Air Force Band of Flight presents more than 240 performances annually, providing quality musical products for official military functions and ceremonies as well as civic events and public concerts. Submitted photo TSgt. (Ret.) Felita LaRock, a former lead vocalist for the U.S. Air Force Band of Flight who retired in 2014, will join Curtis Griffin as guest vocalists during the U.S. Air Force Band of Flight’s “Hearts, Heritage and Heroes” concert on Feb. 23 at the National Museum of the U.S. Air Force. WRIGHT-PATTESON AIR FORCE BASE — Join the United States Air Force Band of Flight as it presents the “Hearts, Heritage and Heroes” concert 7:30 p.m. Saturday, Feb. 23 at the National Museum of the United States Air Force. LaRock is a former lead vocalist for the Air Force Band of Flight who retired in 2014 after completing a 20-year Air Force career. She has performed with artists such as Stevie Wonder, Lee Geenwood and The Miracles. She is currently featured on a children’s’ jazz album titled “Jazz Advice” with The Bright Moment’s Quintet, and is the lead female vocalist for Dayton’s local Pop/Jazz/R&B group Moment’s Notice. Due to the popularity of this free concert, tickets are required and limited to four tickets per person. Public distribution will begin 9 a.m. Thursday, Jan. 24. Requests made before this time will not be accepted. Tickets may be obtained one of three ways. Beginning Jan. 24, requests can be made in person at the museum 9 a.m. to 4 p.m. Monday through Friday. Those who cannot make it in person may request tickets by visiting www.nationalmuseum.af.mil/upcoming/events/ or by calling 937-904-9881. Those requesting tickets must provide their name, phone number, mailing address and the number of tickets they would like mailed to them. The tickets will be mailed beginning Jan. 24.
https://www.beavercreeknewscurrent.com/wp-content/uploads/sites/49/2019/01/web1_180830-F-FN604-001.jpgThe United States Air Force Band of Flight presents more than 240 performances annually, providing quality musical products for official military functions and ceremonies as well as civic events and public concerts. https://www.beavercreeknewscurrent.com/wp-content/uploads/sites/49/2019/01/web1_190118-F-IO108-001.jpgSubmitted photo TSgt. (Ret.) 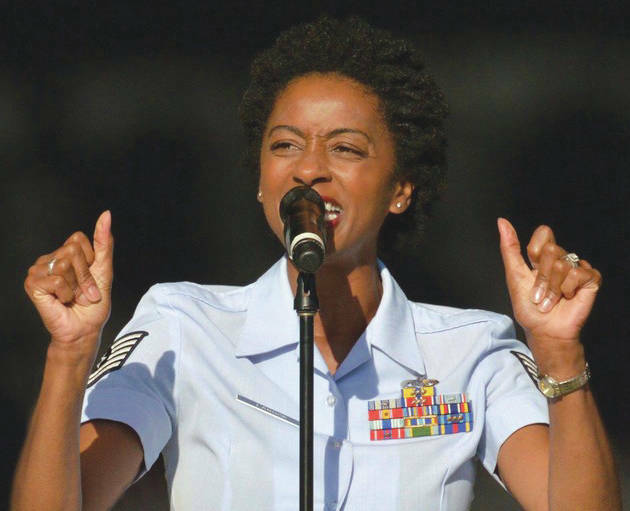 Felita LaRock, a former lead vocalist for the U.S. Air Force Band of Flight who retired in 2014, will join Curtis Griffin as guest vocalists during the U.S. Air Force Band of Flight’s “Hearts, Heritage and Heroes” concert on Feb. 23 at the National Museum of the U.S. Air Force.